The next true Final Fantasy is still in development and a long way from coming out anytime soon for the year 2015, but that doesn’t mean the developers has stopped with the teases, and their latest one straight from their newest trailer shows a familiar character and staple in the series grand comeback… And it’s for the very first time too! 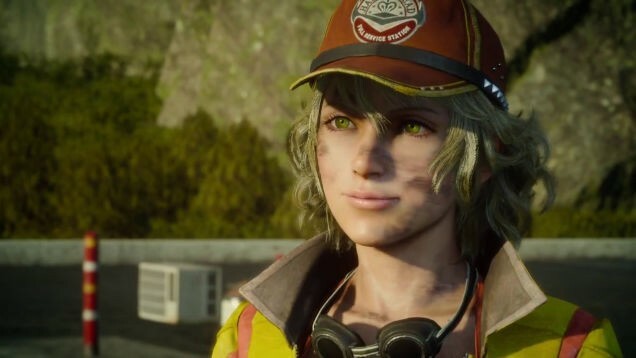 As seen during the Jumpa Festa 2015 event in Chiba, Japan, Square Enix has released a brand new trailer that introduces Final Fantasy XV’s very own version of Cid… A Female Mechanic! Affectionately called “Cidney” by fans after being introduced, the character is a non-playable one who will be supporting main character Noctis Lucis Caelum and his party during their adventure in the game. You can see the latest trailer below, in English dub and with a bit more of the story fleshed out in grand cinematic form… and check out that Titan to boot! No release date has been given yet for Final Fantasy XV, but it will be released for the PS4 and Xbox One. Next articleHot Toys previews figures of Thanos, Hulkbuster, and more!